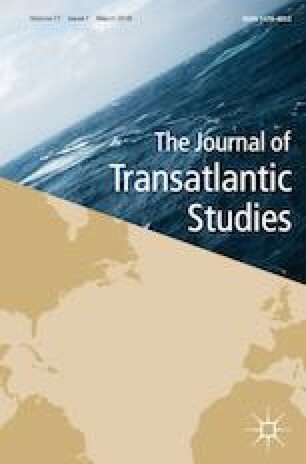 This article discusses the three Europes that informed Kissinger’s narrative of world affairs and Transatlantic relations: Europe as history offering vital lessons the USA was called to study and master; Europe as a junior (and subaltern) ally of the USA; Europe as the primary Cold War theater and, in the late 1960s and early 1970s, the object of superpowers’ détente. The article highlights how these three narratives were used in the attempt to build a new domestic consensus around a foreign policy still driven by basic Cold War imperatives, the limits and contradictions of this attempt, and its ultimate failure. The original version of this article was revised due to the author(s)’ decision to step back from Open Choice. The copyright of the article changed on 4 March 2019 to © The Editor of the Journal 2019 and the article is forthwith distributed under the terms of copyright. A correction to this article is available online at https://doi.org/10.1057/s42738-019-00011-3.